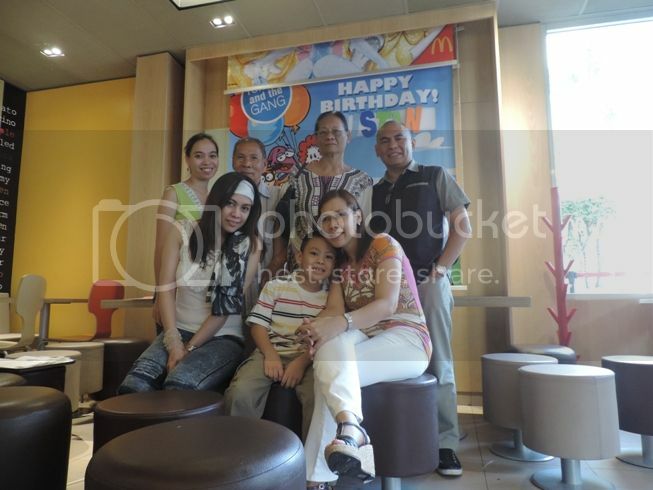 We had a simple 7th birthday celebration for our son Justin at McDonald’s Greenhills last Friday, July 12, 2013. 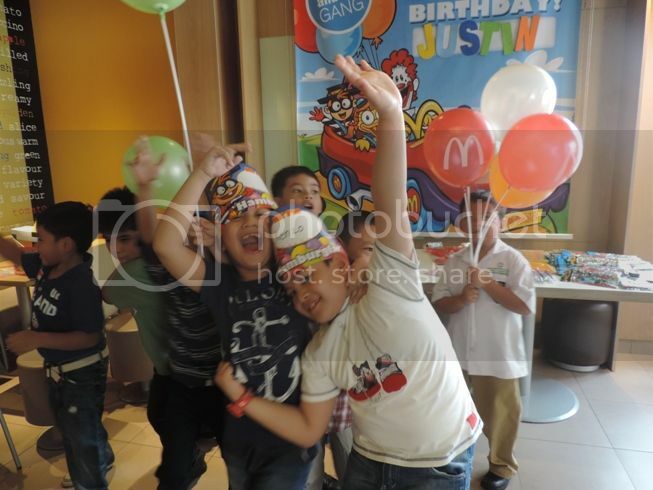 It was Justin’s wish to celebrate his 7th birthday with his classmates and friends because that’s the time they can play together and have fun together outside their school. Party time started at 3:30pm. His Dad and I were at the venue an hour before the celebration started, and our son was dropped off at the venue by his school service a few minutes before the party commenced. 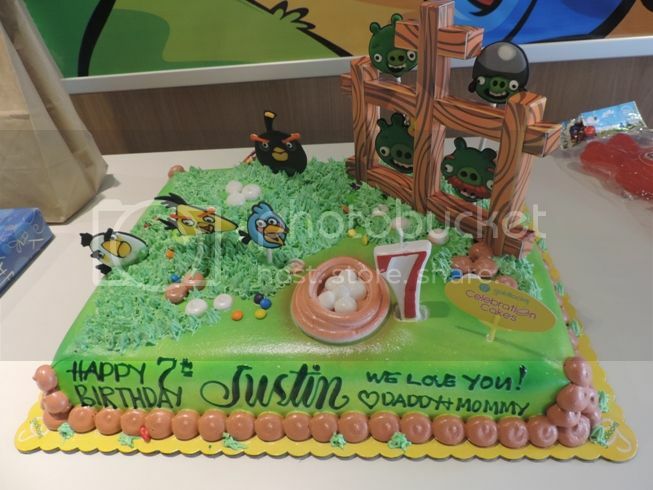 Justin wanted an angry birds-themed cake, so that’s what I ordered from Goldilocks. That cake was named “Fowl Play.” I ordered this a week before the date of the party. 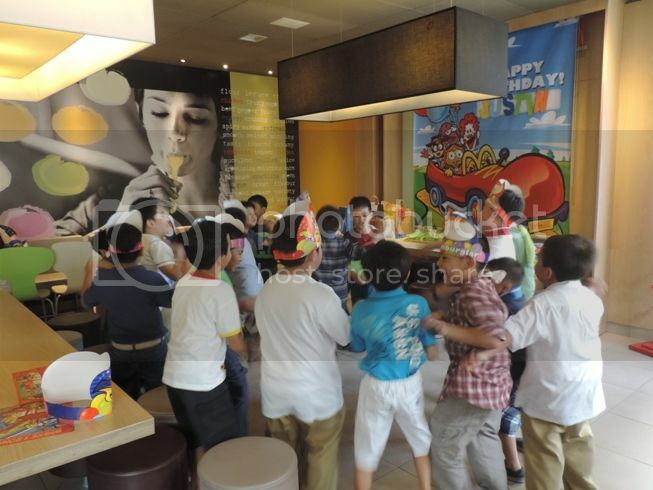 There was already a celebration even before the actual party started because my son and his classmates were already busy playing with the party balloons, running around the party venue, laughing at and with each other, and roughhousing. 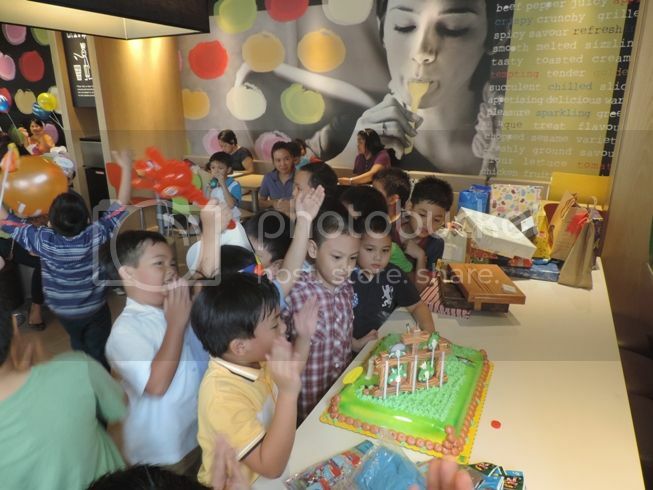 The boys were having a blast, and my son was really happy to have his friends and classmates celebrate this special occasion with him. 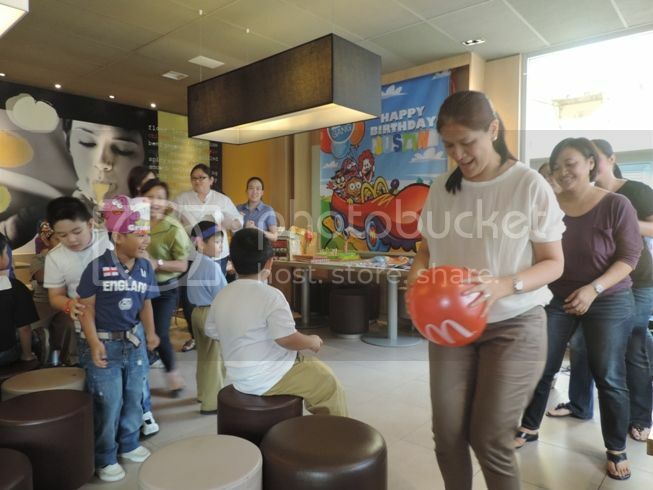 Both the mommies and the kids were called for the parlor games. 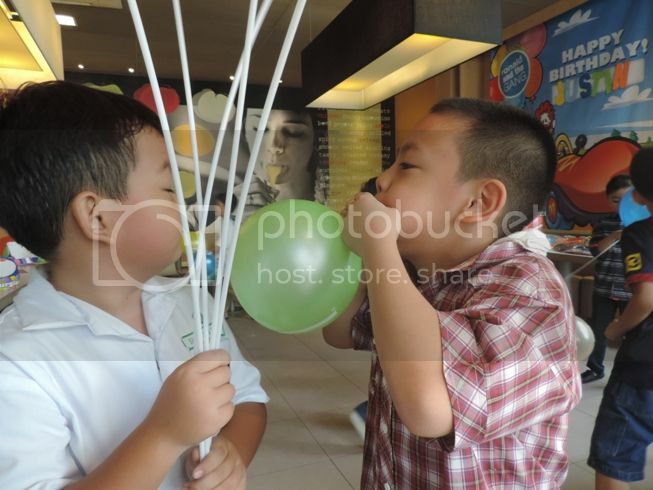 The mommies were all laughing as we were made to write in the air using our butts. Then, it was time to blow out the candle on the birthday cake, and it was eating time afterwards. 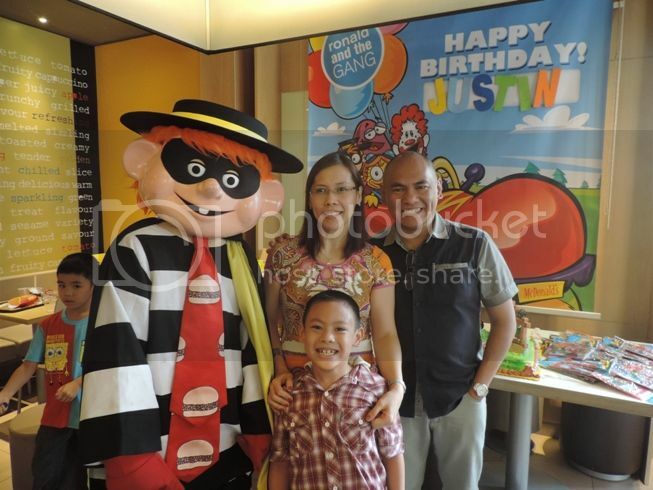 After everyone has eaten, Hamburglar made an appearance to the delight of the kids. 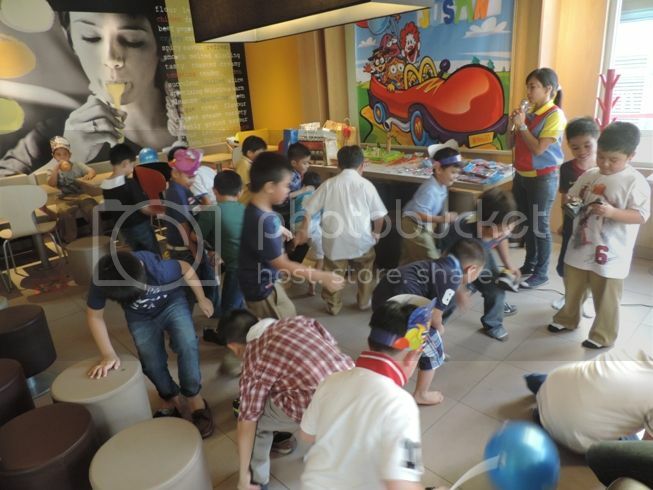 Finally, Justin was called by the party host to distribute the loot bags to his classmates and friends. Quite naturally, the first thing he did when we arrived home was open his gifts, but we asked him not to open everything. We told him he could open a few gifts every Friday so he’d have something to look forward to at the end of each school week. 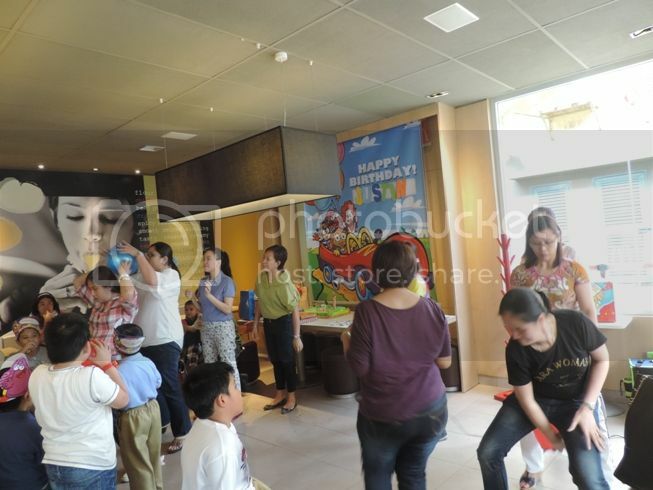 All in all, more than 50 guests came to Justin’s party. 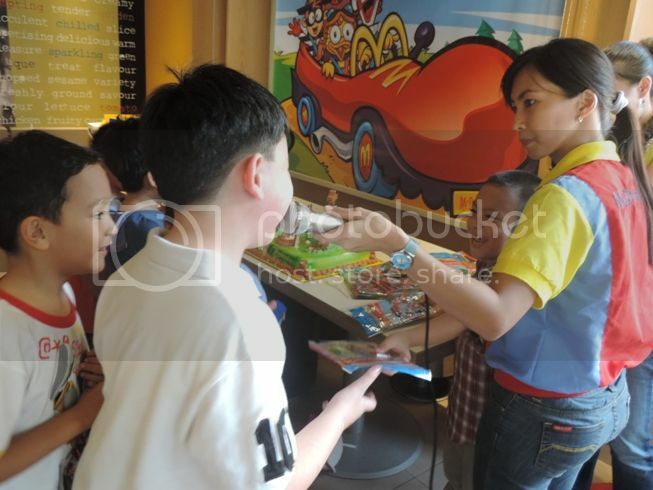 There was a slight problem with the way McDonalds Greenhills was handling the event, but in the end, what really matters was that our son had a great time celebrating his 7th birthday with his classmates and friends. 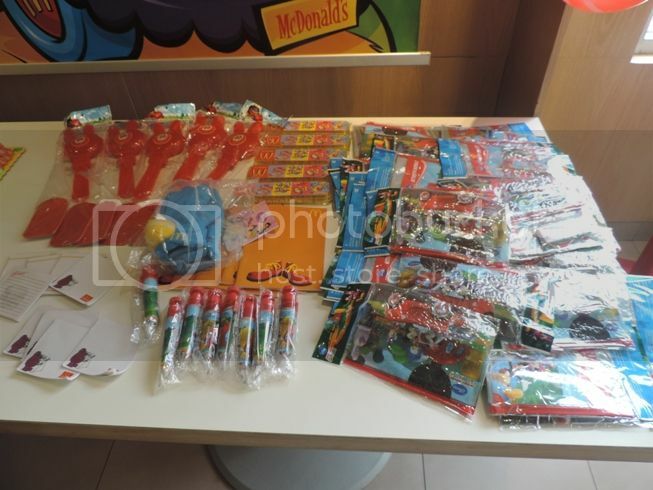 This entry was posted in 7th Birthday Party, Birthday Party, McCelebrations, McDonald's. Bookmark the permalink. 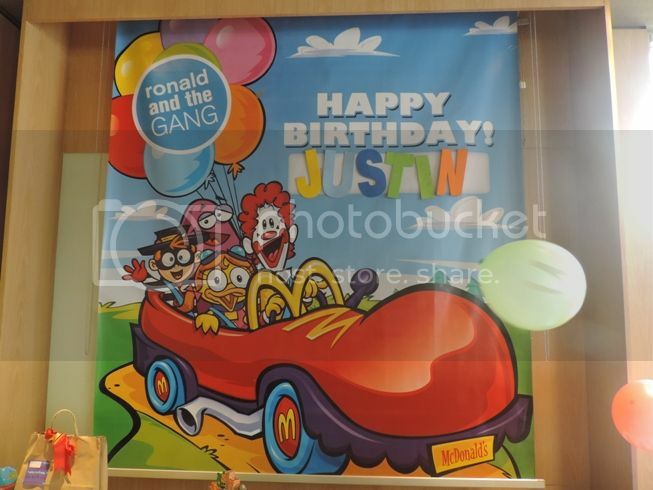 5 Responses to Happy 7th Birthday, Justin!